Comic. Cute comic I made based on a story I wrote (Renwed -- it's on fanfiction . net). HD Wallpaper and background images in the The Hunger Games club tagged: the hunger games katniss katniss everdeen peeta mellark mockingjay epilogue comic. 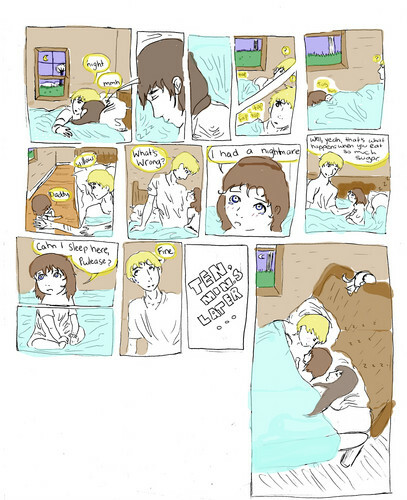 This The Hunger Games fan art contains anime, grappig boek, manga, cartoon, and stripboek. There might also be krant, tijdschrift, tabloid, vod, papier, and rag.